A world class creative youth facility which has been shaped by the active engagement of young people, their views and needs. The youth space aims to bring the young people of Tower Hamlets together to stretch imaginations, empower, extend ambitions and realise their potential. It is for the youth of Tower Hamlets and it is the young people who have been at the heart of this design. Over 7500 youth were consulted to create this building – ‘true co-creation’. 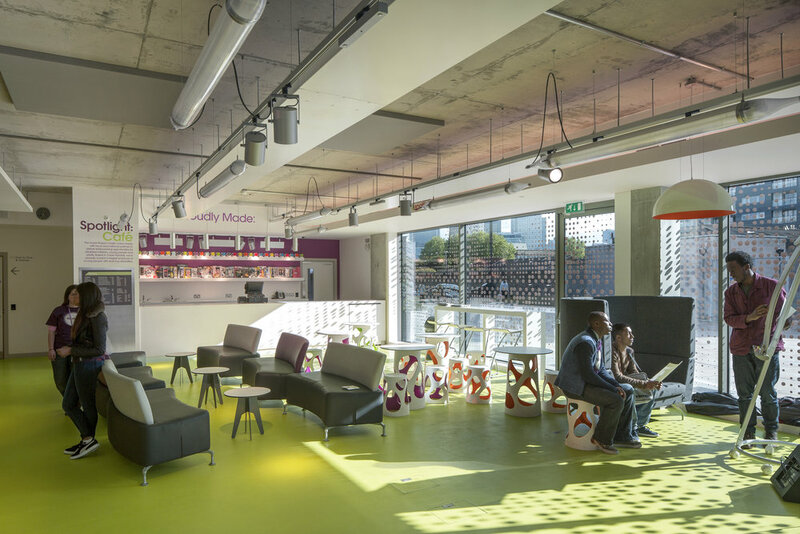 The building has a strong ‘creative industries’ focus with music and performance spaces alongside the re-provision of the Lansbury Boxing Gym within the space. 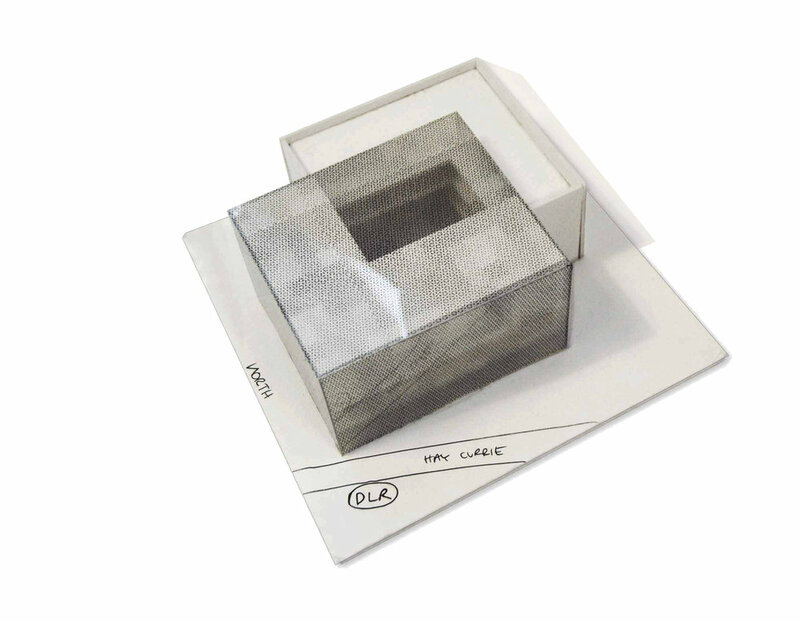 The design concept is of two interlocking cubes, which create a central triple height multi-use performance space which forms the heart of the building. Circulation wraps around the performance space making the whole building a piece of theatre. 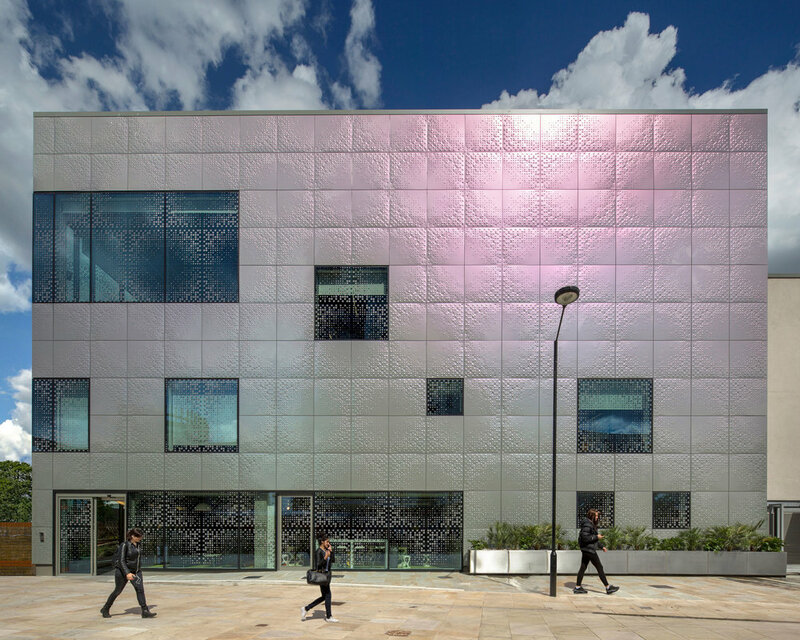 The building reflects the individuality of the people it serves, emblematically providing a constantly changing façade using dichroic painted embossed metal cladding.